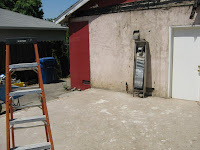 Here are some more pics of the new project in Campbell, CA. 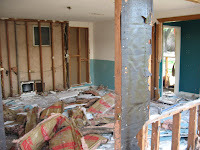 The existing room has been completely demoed down to the foundation. 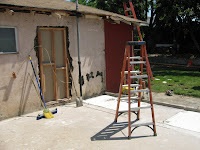 Today the foundation will be removed in preparation for the new foundation will begin. 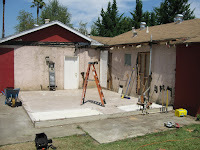 We have started a new project in Campbell, CA. It's a family room addition including a bathroom and wetbar. 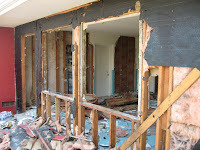 I've added the plans and some before pics, including the demolition that is currently taking place . For this project we are planning on giving a more indepth look at the entire construction process. Our remodel in San Jose was finished a few weeks ago and so this will be the final posting for this project. This home is truly beautiful. 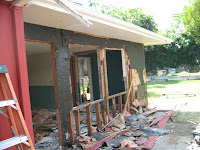 I've added a final slide show showing some before and after pics from the interior and exterior of the home, which illustrate the dramatic transformation of this remodel . I'm also including the link to a virtual tour of the home from a real estate website. This home is for sale so anyone interested should contact Valerie Mein at 408-891-1332.